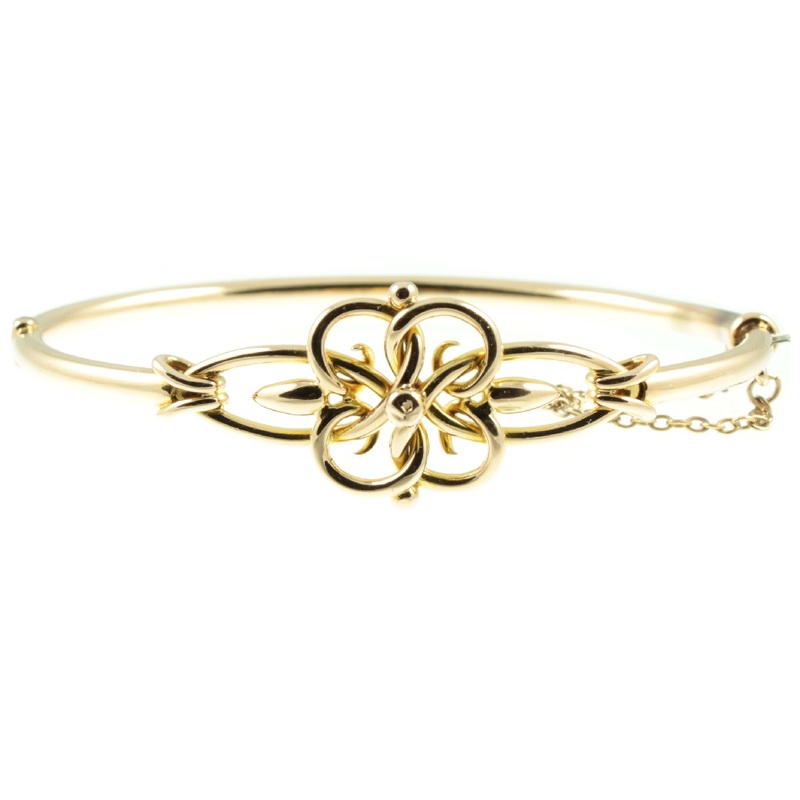 A decorative Edwardian 9ct gold bangle featuring a stylised knot design. 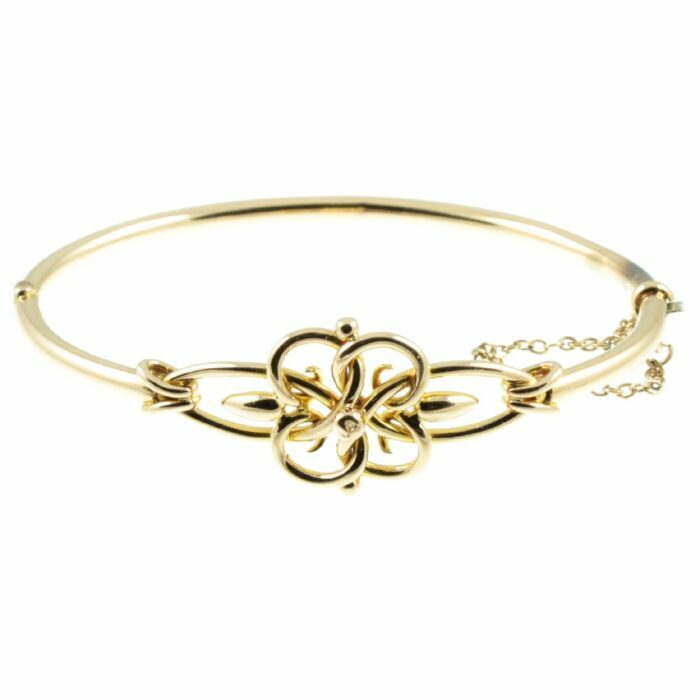 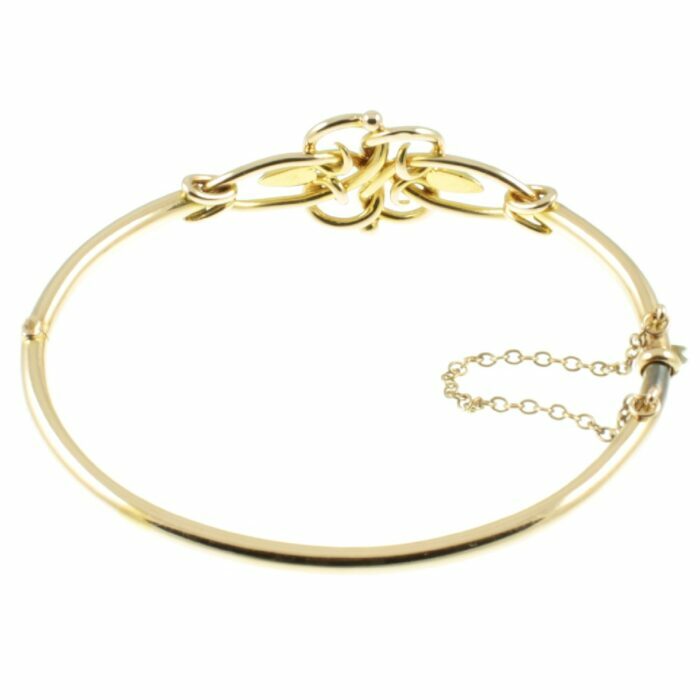 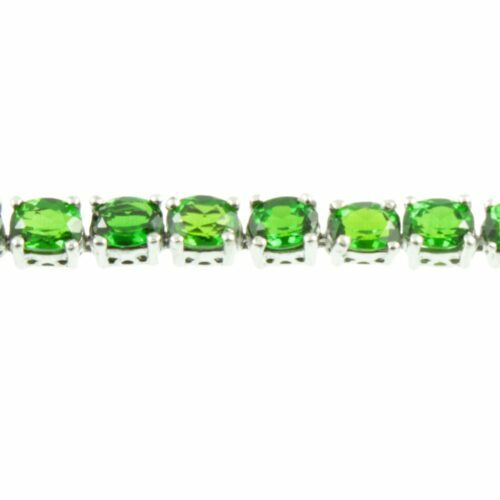 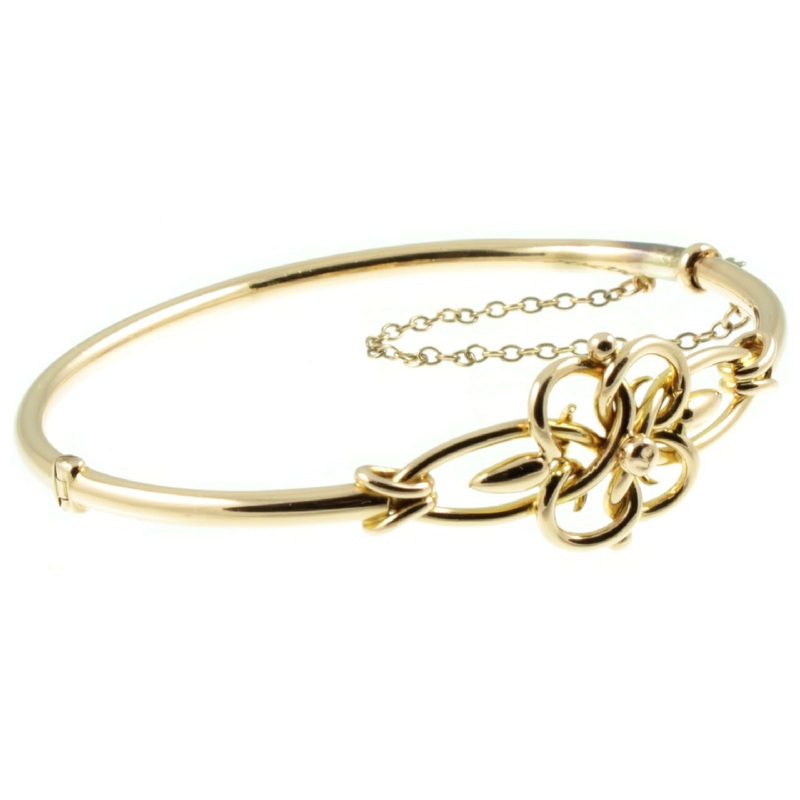 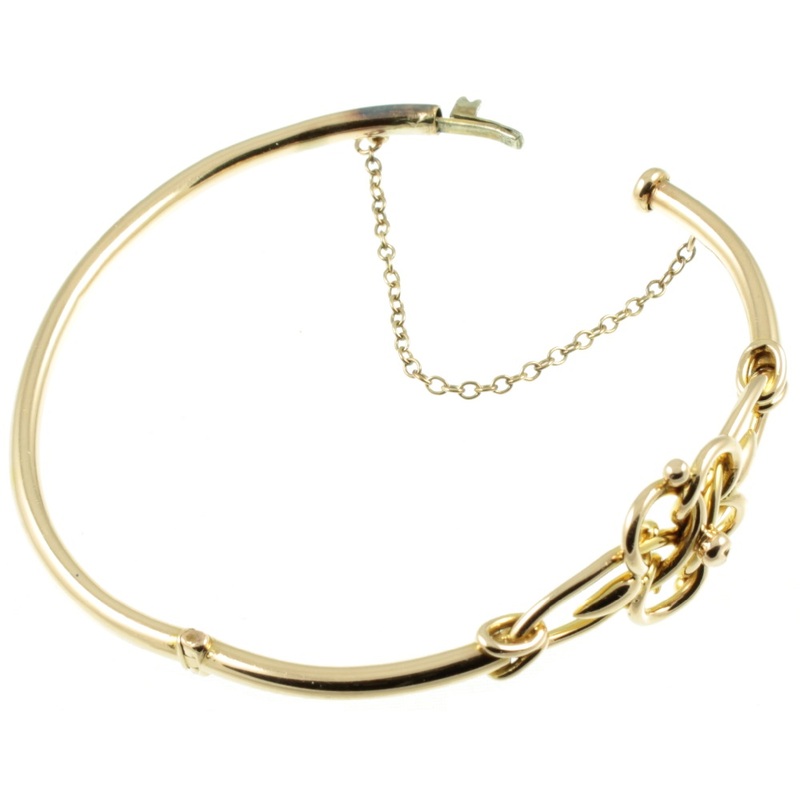 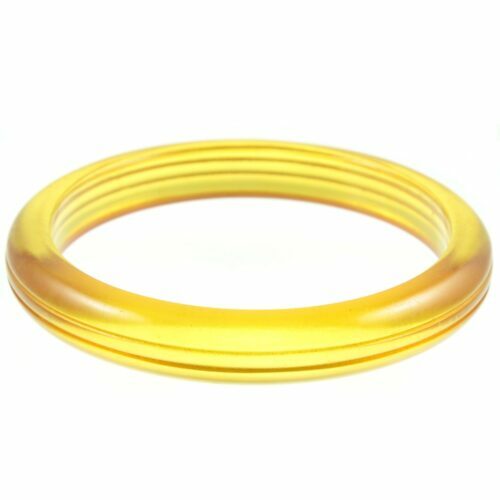 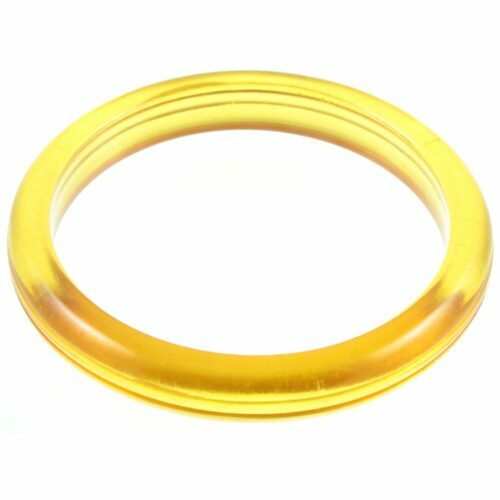 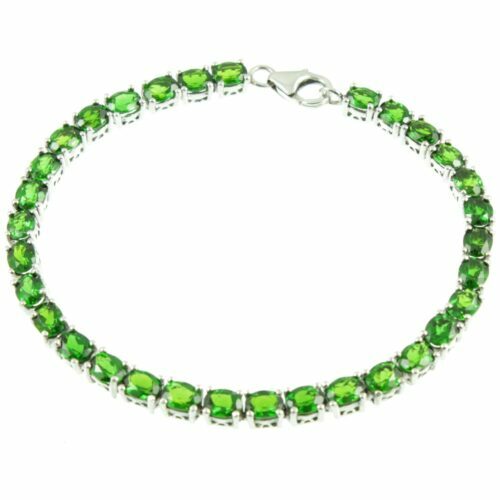 The mid-section of this bangle is hinged and is fitted with a safety chain. 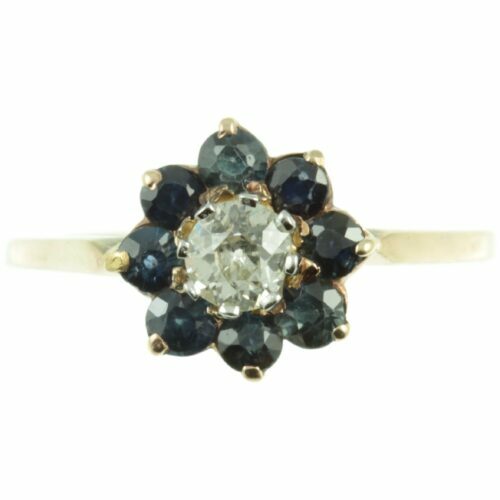 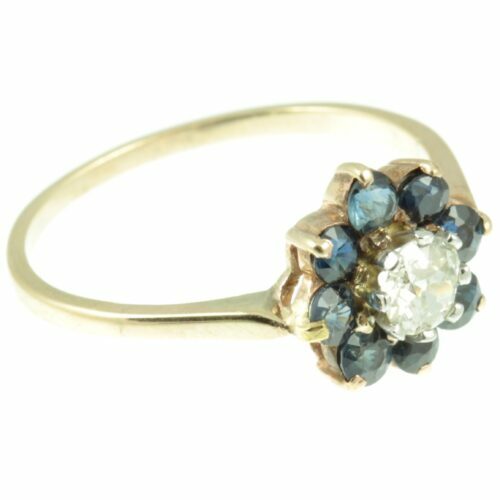 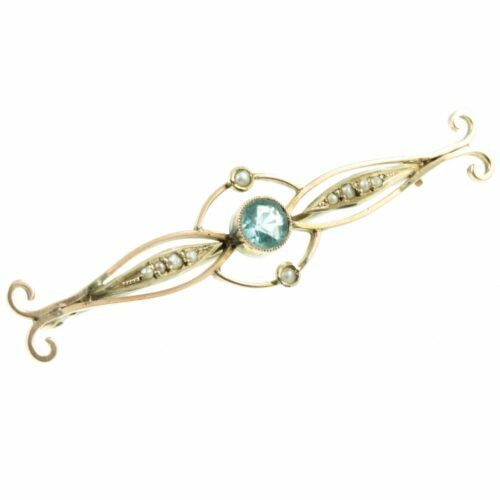 A beautiful and timeless piece of jewellery. Internal size: 58mm x 47mm, weight: 10.g. 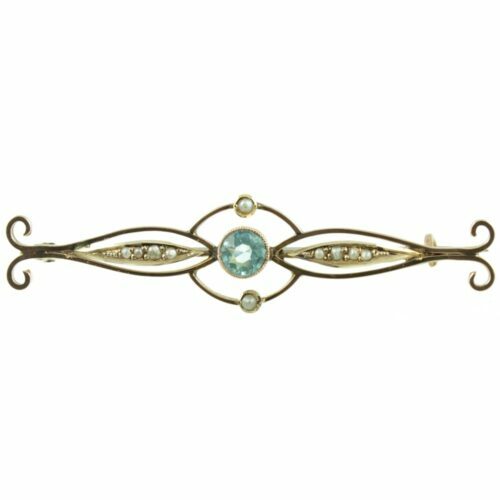 Period : Edwardian Jewellery ( 1901 – 1914 ).